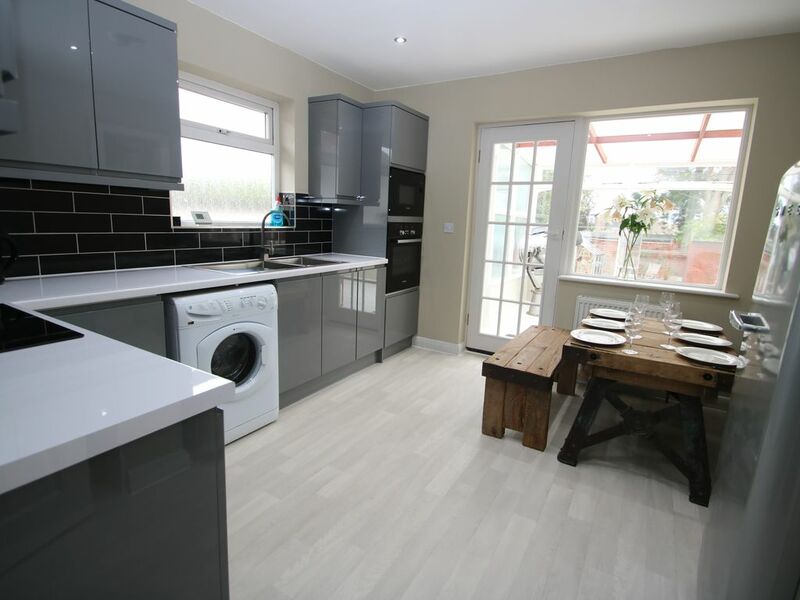 Lovely fully refurbished bungalow on a quiet road in the hart of Hockley with off street parking for 3 cars. The property is walking distance to shops, restaurants, pubs, parks and only a 5 min walk to Hockley train station that can have you in London Liverpool street in 45 mins or Southend on Sea in 10mins. Southend airport is less than 10mins away by car or train. Hockey Woods and Gusted hall nature reserve are all close by and lovely places to take a walk. Ballards Gore Golf club, The Rayleigh Club and Rochford golf club are all within 15 min drive. Main bedroom, with double bed. The lounge/living-/sitting room has a 40" smart TV with Netflix, cosy electric fire, handmade industrial coffee table, vintage leather recliner and quality sofa bed. The kitchen has a Bosch induction hob, Bosch electric oven, Bosch microwave oven, Smeg fridge freezer,kettle, toaster and a few basics such as tea, coffee, salt and pepper etc. Hey, I'm Greg 44 married with 3 children I have a few small businesses that keep me busy most of the week and also a small property portfolio in the UK and Dubai. I enjoy skateboarding, walking my dog, golf, football and of course a large Gin and tonic. My top 5 holiday destination in order is 1. Thailand 2. Ibiza 3. Las Vegas 4. Italy 5. Dubai. I'm not much of a reader but when it comes to movies I love a good comedy, my all time best comedy movies are Life of Brian, Arther 1&2 and the Austin Powers collection. I also like films like Lord Of The Rings, Star Wars and a classic Kung Fu movie. I really enjoy music and listed to a wide range of it, My favourite bands of all time are Led Zeplin, the Beatles, Oasis, the Specials and Pink Floyd. My favourite solo artists are Neil Young, Bob Dylan, Michael Jackson and Noel Gallagher. Look forward to meeting you all :-). Shower with drencher and hand held, wc, basin, shaving point in basin cabinet. Industrial style dining table made from cast iron and old English oak. Variety of kids and family DVD's and Bluray's.